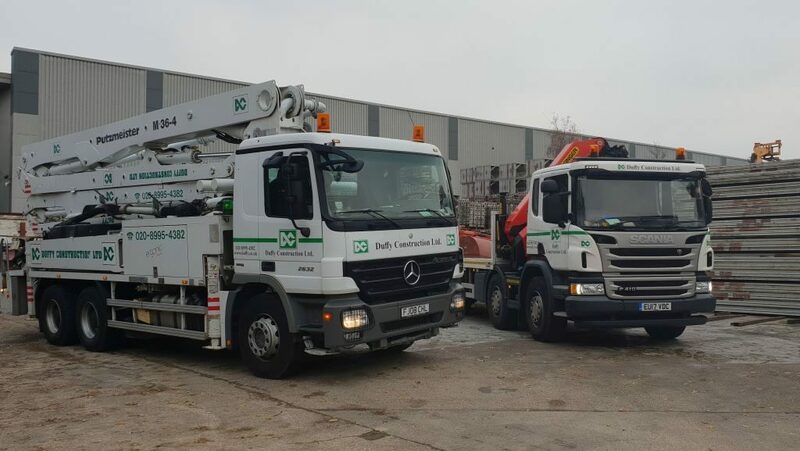 Duffy Group has consistently invested into high quality mechanical and non-mechanical plant hire. Owning our own resources allows us to keep in line with every project programme. Wells Plant Hire is the plant and equipment division within the Duffy Group. Our resources include mechanical and non-mechanical plant hire, ranging from the smallest drill bit, to mobile cranes and concrete pumps. Unlike many others, Duffy Construction own all resources needed to complete every project. Investing in plant and formwork support systems over many years means that we have the independence and flexibility to keep in line with every project programme. As part of our commitment to ensure deliveries and transport are achieved in line with best practice, Wells Plant Hire are FORS accredited.